One of my resolutions is to travel more. I love traveling! My first holiday was when I was 2 years old and from then I went on holiday every year, sometimes even three times in a year. But now I'm old enough to pay for my own holiday - at least that's what my parents think - it's has been a lot less. Instead I'm doing a lot more city trips so this location called Venice will probably be one of my next trips. 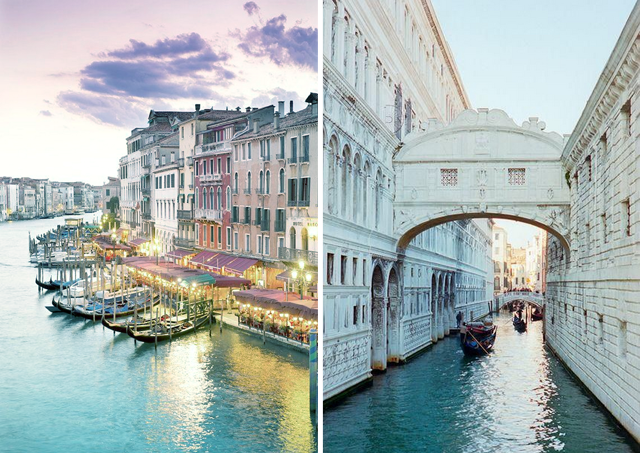 I never went to Italy but if I go I want to visit Venice first. I'm in love with the romance about this place. Everything looks so perfect there. My parents have something with Greek islands and I have it too. 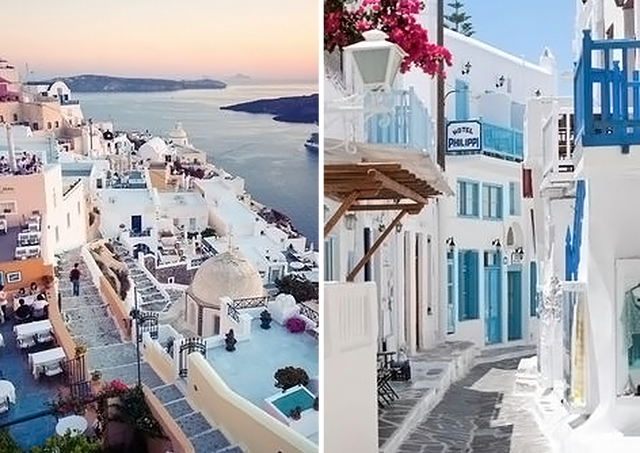 We already went to Crete, Rhodes, Corfu and Kos but my next Greek destination will be Santorini. I'm totally in love with the stereotype white and blue houses. It seems like it's always summer there and I can't wait to discover those fresh looking tiny streets. Last year my boyfriend and I planned a trip to Egypt but because of personal reasons we had to cancel our plans. 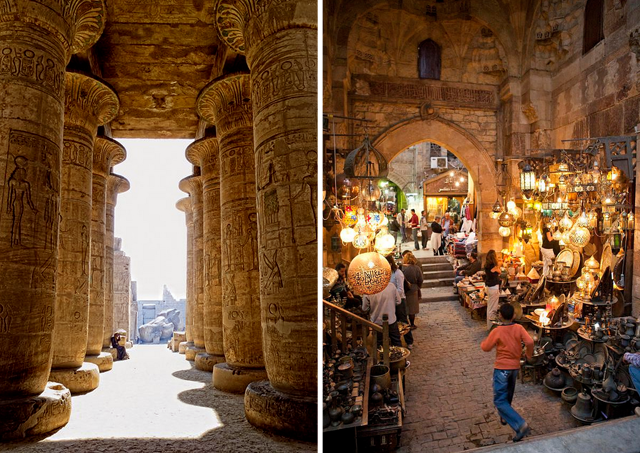 Still is Egypt number one on my travel wishlist. At the moment it's not save over there only at the hotels but if I go to Egypt I want to visit their culture and see some pyramids and temples. So I'll wait for this trip until it's save again. I've been to Paris for three times now but if it was up to me I'd go 12 months in a year. 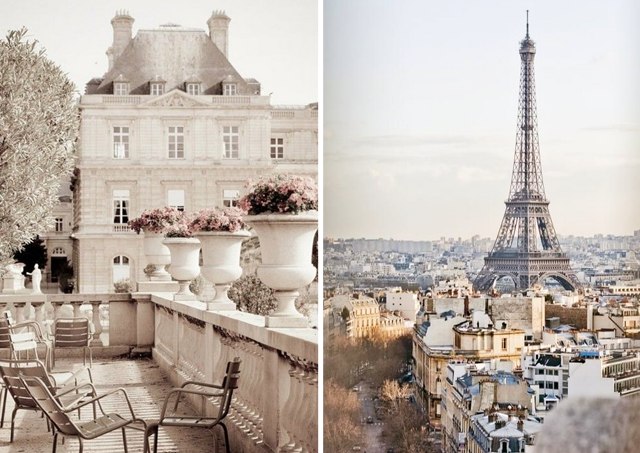 I don't need London or New york, I need paris. This city is perfect to me and has so many characters. Every day is a surprise and this city has all you need. - except a beach with palm trees. 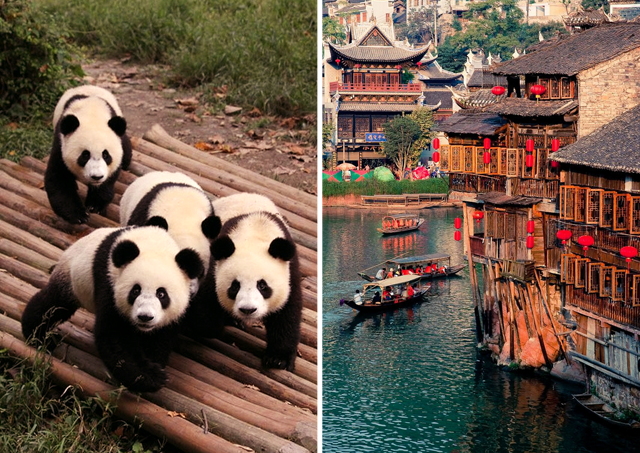 I'm sure I don't have to explain this one because of the first photo ;) I can say that China is definitely a craving but one day I'll be there cuddling with a group of pandas! I'm also very curious about the rest of the country, they way they live, their culture. Everything seems so interesting to me. It's almost unbelievable how different they live in comparison with us. What's your ultimate travel wish list? Deze zomer ga ik ook naar Venetië. Ben er als kind wel al geweest maar dat herinner ik me niet meer zo. Naar Egypte wil ik ook graag maar zoals jij al aangeeft, is het daar momenteel erg onveilig. Ohh fijn, veel plezier! :D ik hoop dat ik ook snel kan gaan. al stap ik de eerste maanden niet meer in een vliegtuig !